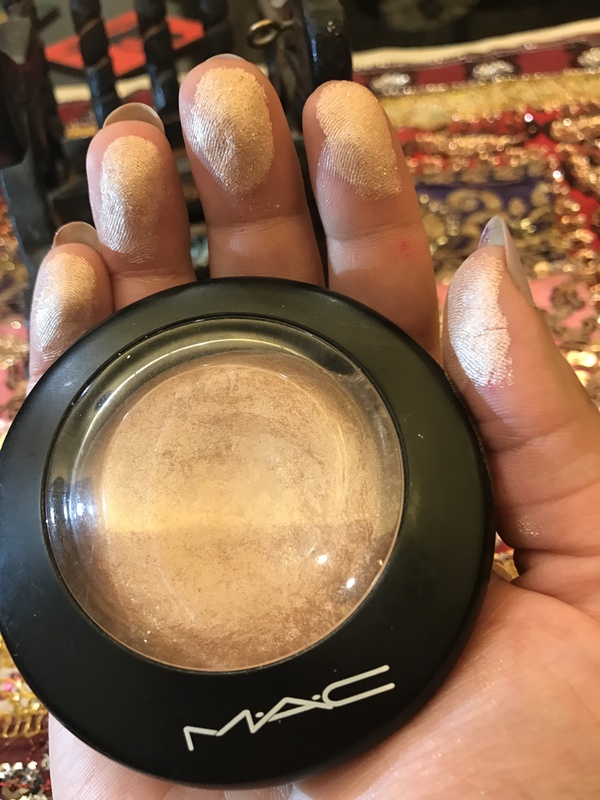 Features the 77-Mineral Complex formula and Vitamin E.
MAC Mineralize Skinfinish in Soft and Gentle (Rs 2,600 for 10gm) stays true to its name of being ‘soft and gentle’. This product is for all of us who like to be naturally highlighted on most days and be in-your-face on special occasions. The beauty of this product lies in the way you can control and sometimes build the layers of shimmers. And by shimmers, I do not mean jarring sparkly shimmer, but powder with frosty finish shimmers. 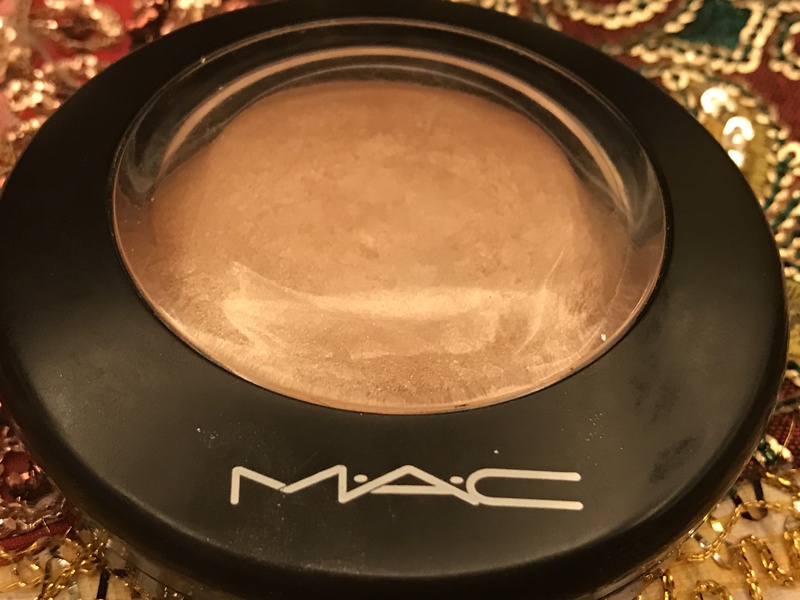 This is a slow-baked, subtle radiance product that can be used for both day or night makeup! Apply them ever so gently on your brow bone, bridge of nose, cupid’s bow, cheek bones, chin and dust a little bit on the tip of your shoulders and neck for a subtle glow. I even use this on my eyelids for a subtle eye shadow glam. Even though this product is tad bit pricey, it is worth every penny. 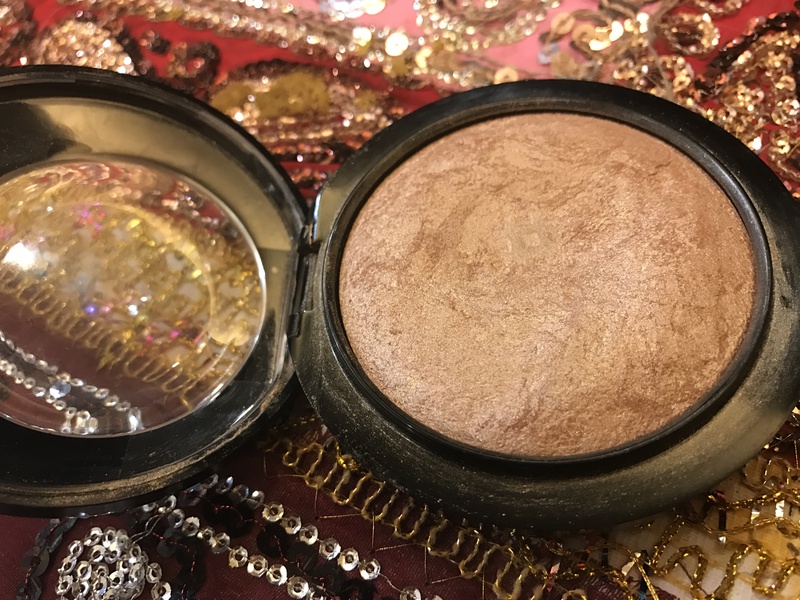 I have been using this product from past 8 months and I still haven’t hit the pan base – now this is what highlighter dreams are made of! The highlighter gives a healthy glow and a healthy shine, but never over-the-top sparkles or glitter. 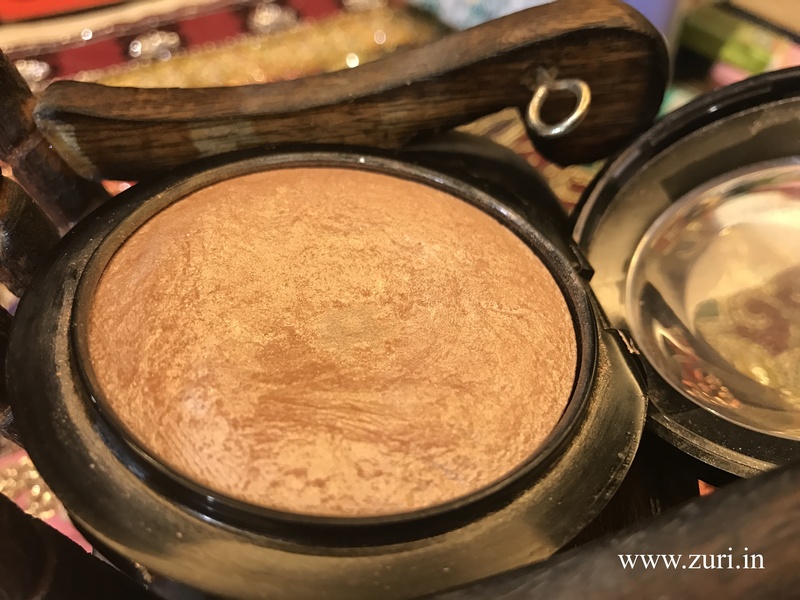 You can even mix this highlighter with your foundation for a dewy, all day finish – it indeed has multiple uses. From fair maidens to dusky Indian skin tones, this shade is apt for a wide variety of skin tones too. Blends very easily and has great color payoff. Photographs beautifully, making you look completely natural with a dash of oomph! It has finely milled powder with no fall out whatsoever. It doesn’t have any irritating or masked up fragrance. Gives a sensual illumination to your skin without giving it a flashy look. It can be used as a highlighter, blush, eye shadow, collar bone glitter and even on legs – you name it. It has Vitamin E and is a non-acnegenic. I cannot find any. Fill me in if you do! Apply using your hands or even blush brush. Just sweep over the higher points of your face where the sun’s light hits the face, you will have a natural radiant glow.